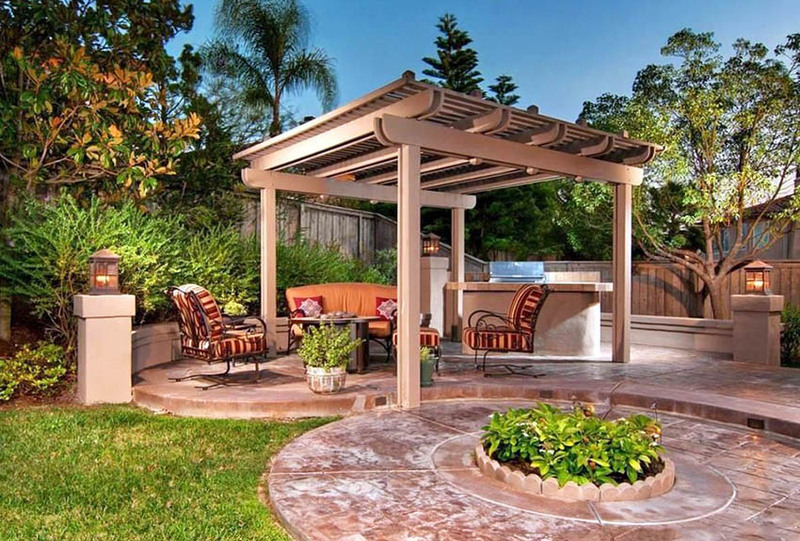 Welcome to our gallery of pergola canopy ideas for the backyard. Pergolas are one of many architectural features that exists for both its function and its aesthetic. Functionally-speaking, they help create an ‘additional space’ or extend your space outdoors, allowing you to have an additional area to your home that is directly connected to your garden/yard/outdoors. 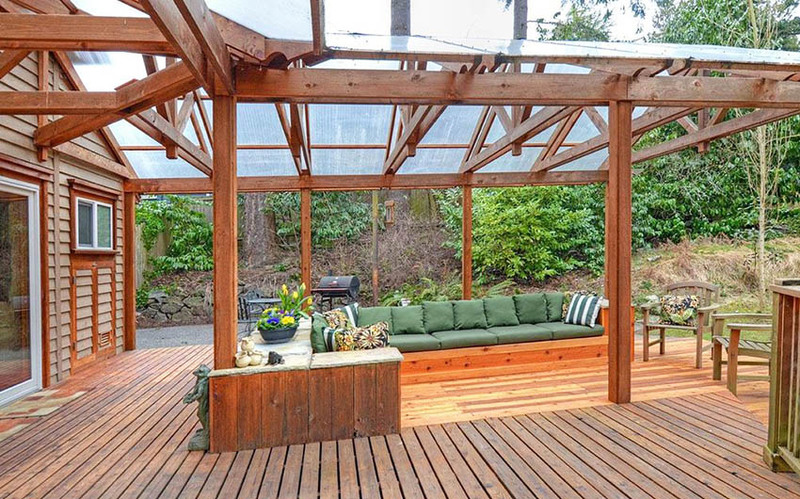 Depending on the type of pergola, it can also help provide shelter from the weather. Aesthetically-speaking, pergolas simply visually improve the overall look of your home. It can be made to match the architectural style of the house, or it can also be completely different, depending on the look you are going for. Check out our gallery of pergola ideas for even more designs. In the picture above solid wood posts and beams make up the main structure of this pergola, complementing the wood decking of the area it covers. The simple square silhouette gives it a contemporary appeal that would easily look good together with any architectural style. A retractable canopy of white sun screen fabric and side curtains has also been added for extra weather protection. Wood – usually applied as slats to provide shade from the sun, but provides little to no protection from the rain/snow. Wood lattice can be great to use as a frame for crawling vines. 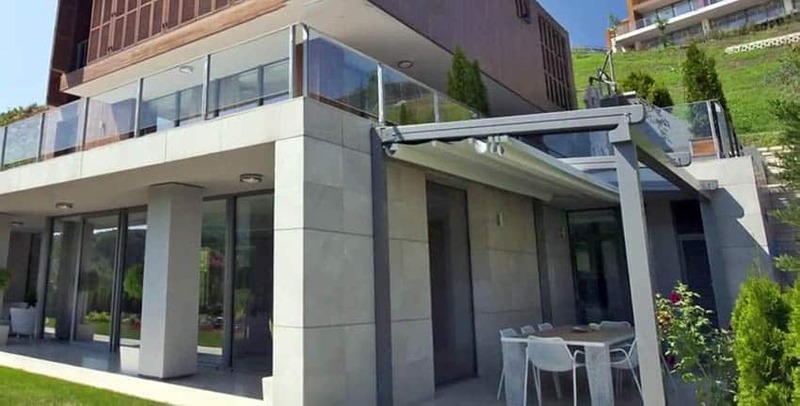 Metal sheets – usually in the form of ling-span GI roof sheets, this provides the best weather protection, but would be at the last place in terms of aesthetics, as it kind of takes away the outdoorsy vibes of pergolas. Plastic Sheets – this usually comes in the form of polycarbonate sheets (flat or corrugated). This material is flexible, so unlike wood and metal, you can easily create curved forms using this. It also provides almost as much weather protection as a GI sheet, and comes in clear and many other colors. Its downside would be its longevity as it easily wears down when exposed to weather, and might need constant replacement to keep it in mint condition. Fabric – this is the most flexible option, in all aspects. Depending on the fabric type you select, you can determine the percentage of sunlight that can pass through the fabric. They are also flexible, can be used in a variety of ways, and comes in many different colors and textures. Weather protection is dependent on the fabric type used, but aesthetic-wise, fabric canopies generally create the best looks. Plants – A pergola can be an effective structure to support a variety of climbing plants to provide shade and serenity. 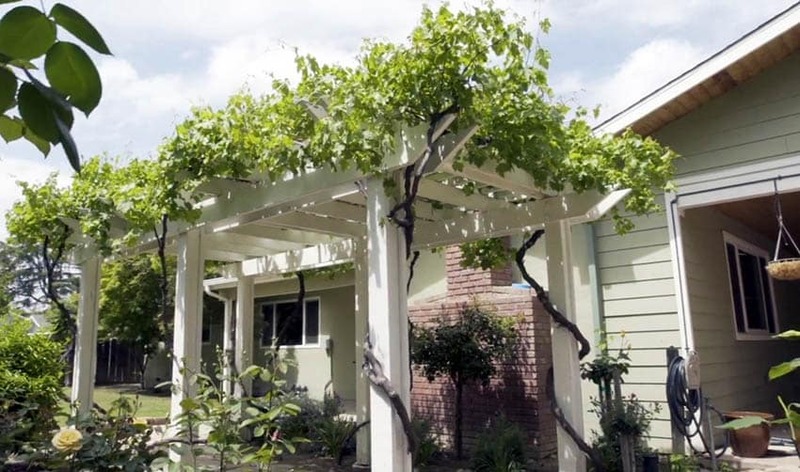 Popular plants to use for a pergola include Clematis, Rose, Honeysuckle, Jasmine, Passion flower, Wisteria, Grape vines, Bougainvillea, Ivy and Trumpet vines. Wooden framing is often favored for its very natural look, making it easily blend in with the outdoors/nature. Depending on the wood specie used, it can also be expensive or affordable. Using the appropriate wood specie according to the use/application and climate would be a great contributing factor in its longevity. The charm of wood-framed pergolas, however, would be the naturally-rustic vibe it achieves through normal wear and tear. If you would like a bigger pergola, consider the limitations of your chosen material when designing. This example uses wood for the pergola structure, but because wood spans are limited in length, additional columns were needed to support the beams. To compensate for the bulky base support, the top of the pergola only used a minimum amount of rafters. Retractable fabric canopies were installed to soften the big & bulky wood used. 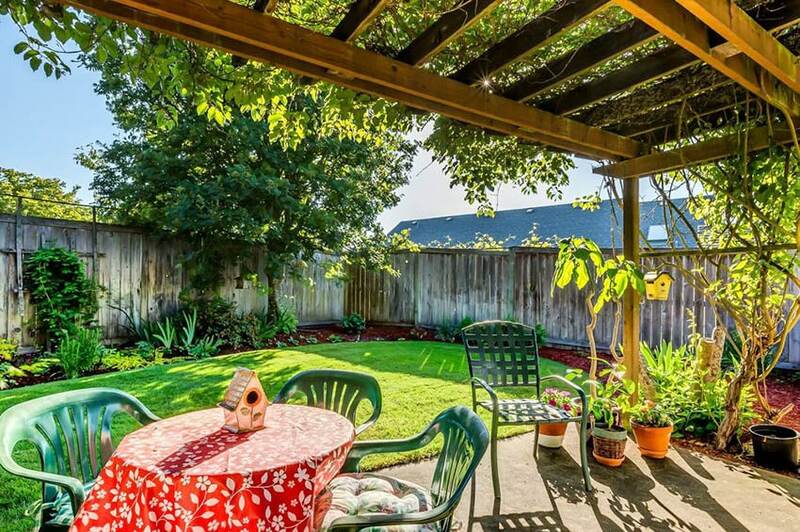 This attractive backyard patio features a large white pergola with garden lattice to help provide additional shade. 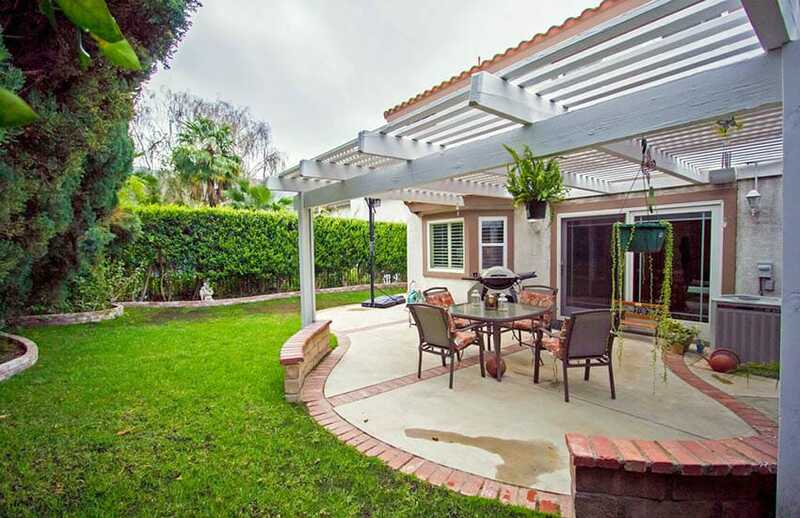 Another look at this backyard pergola with white lattice canopy to provide shade for outdoor dining. This large backyard pergola is constructed with cement pillar supports with a wood structure with additional cross beams for added shade. Another massive pergola, this time made from solid cherry wood to match the wood used on the architectural exterior. 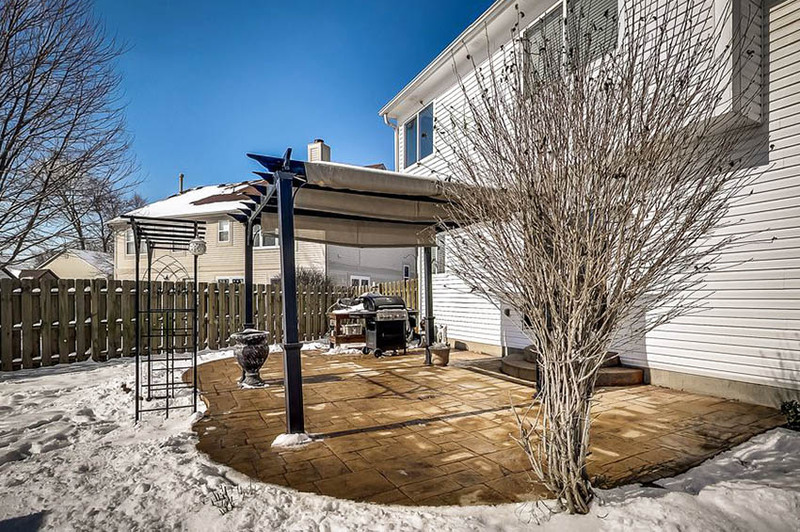 Instead of the typical flat or angled top, this pergola instead used a hipped roof design, using clear corrogated polycarbonate sheets, allowing you to enjoy a bit of sunlight, but keeps you dry from the rain and snow. 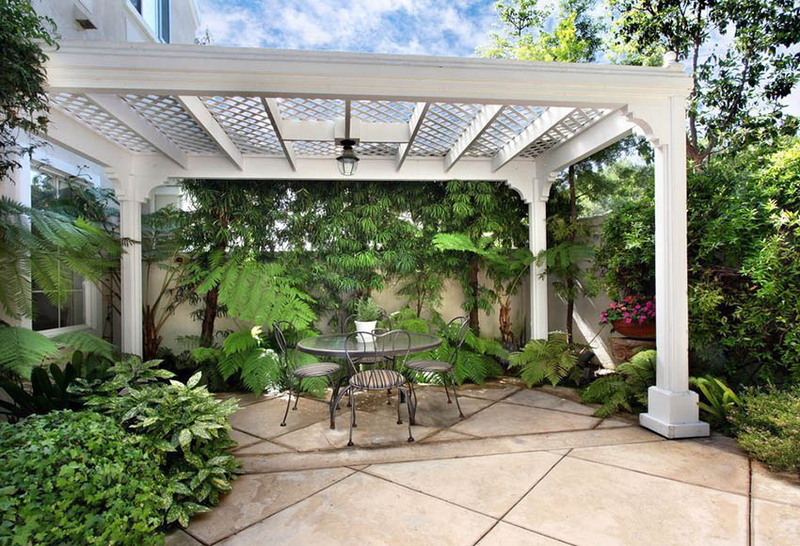 A basic garden pergola with plants used as canopy. The use of plants helps block the sun from directly hitting you and at the same time, it instantly adds more personality to your yard. 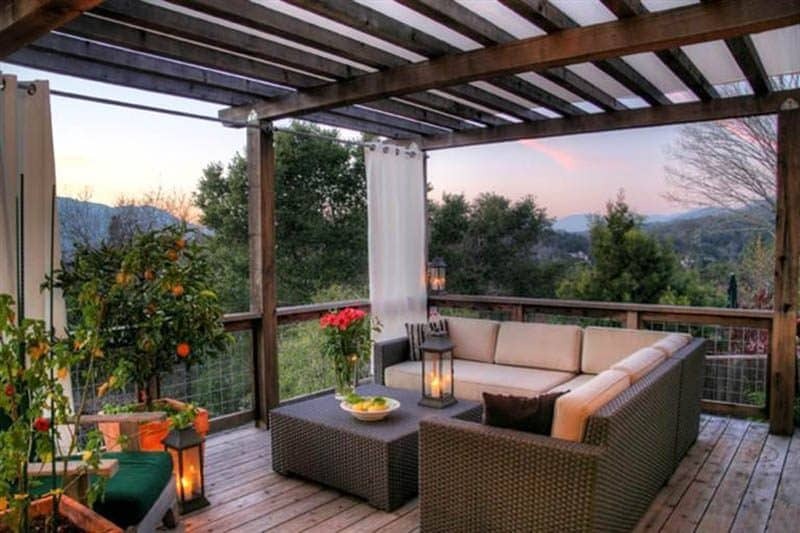 Going for a Bali resort-inspired look, this pergola uses solid wood frames with Balinese-inspired rafter profiles. The canopy material is perforated polycarbonate in bronze, while one side of the pergola adds a wooden sliding screen for privacy & extra sun protection. 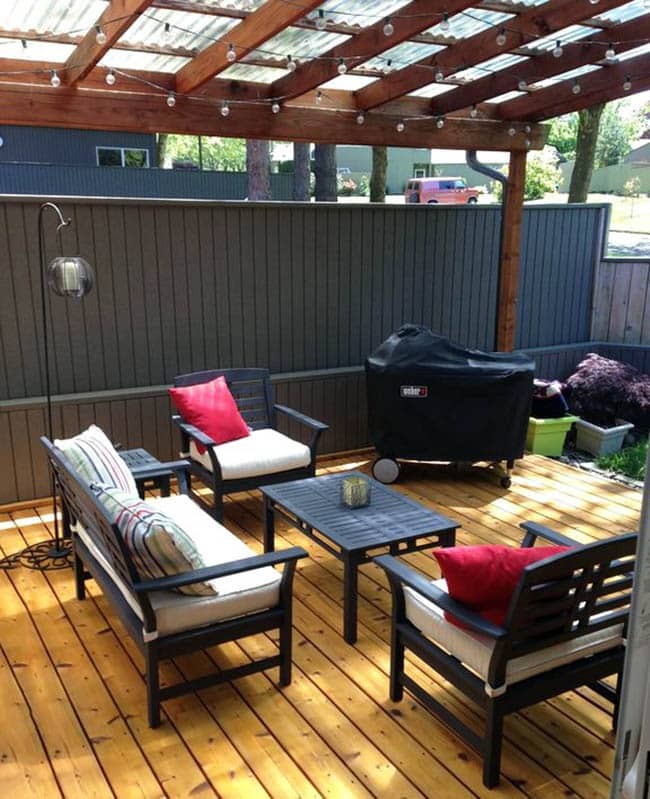 With the intention of using the yard as a small barbecue area, wooden deck and pergola were installed in this small space. 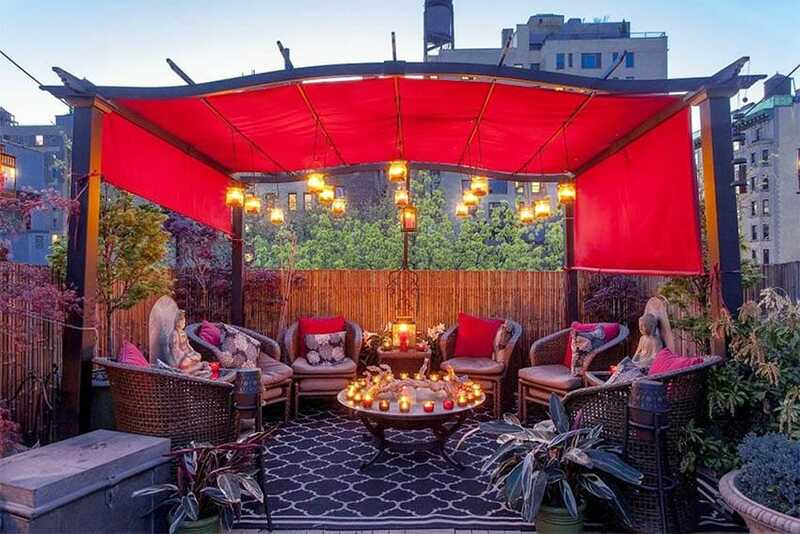 As a space intended for outdoor dining/drinking, clear sheets of corrugated panels were used as roofing, and garden lights were also added for enhanced night ambiance. Using your pergola as frame for crawling plants is a great idea to spruce up your garden. This example is a new wooden pergola with rounded edges giving a modern silhoutte. The top are crisscrossed battens that will serve as framing for the crawling vines. Some pergolas were constructed to serve as somewhat of an extension to the main structure. 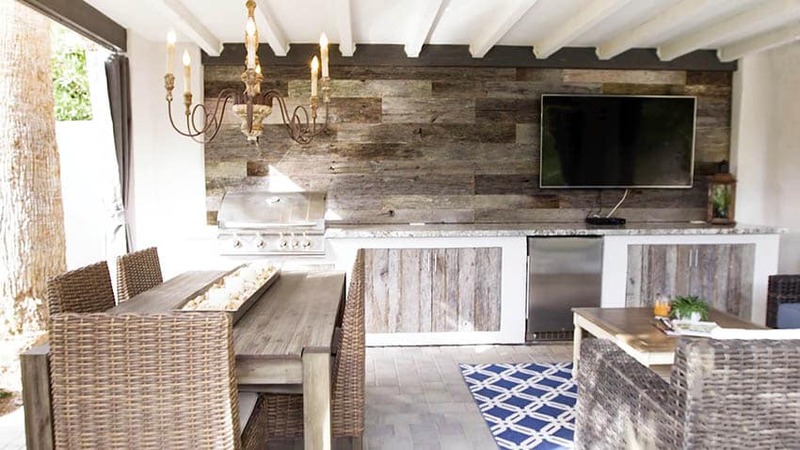 This example uses goregeous solid wood in its natural weathered finish and has a GI metal sheet canopy, allowing them to furnish the space under the pergola and even add lights. 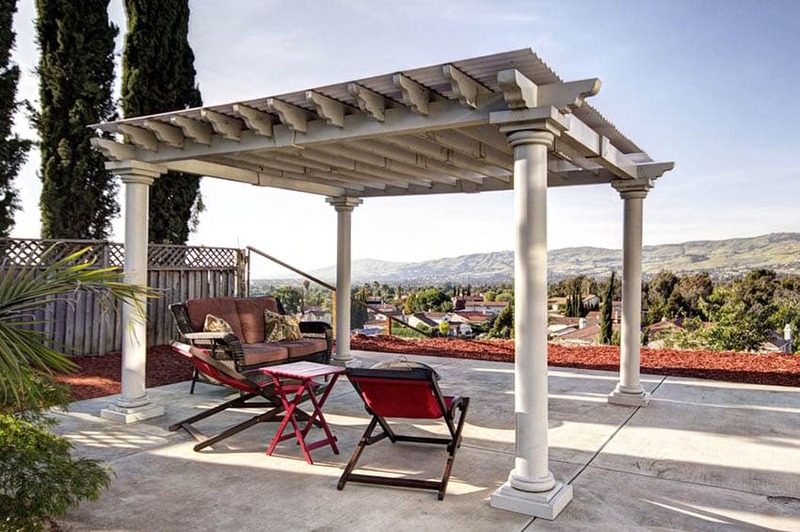 This freestanding pergola comes with its own platform base, creating a sturdier built. It is all made out of solid wood and has Southeast Asias influences on its design. Its natural weathered finish adds to its rustic charm, along with the wooden trellis used as canopy. 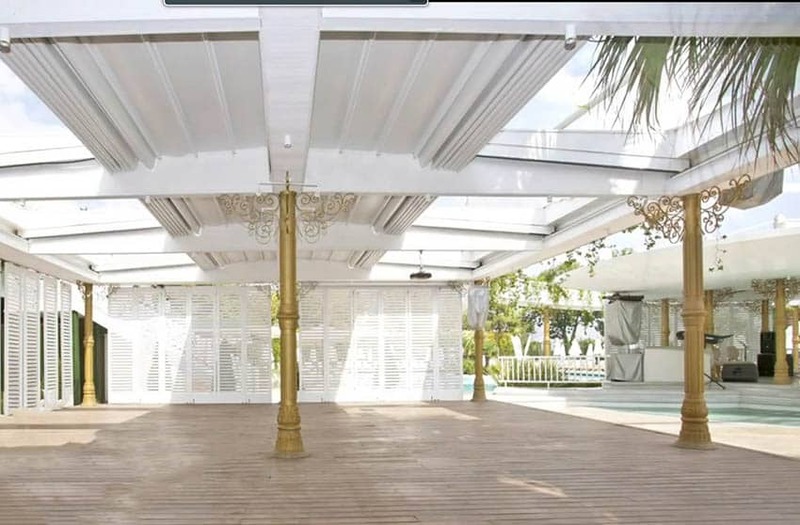 For additional sun protection, curtains were also attached on the sides of the pergola. 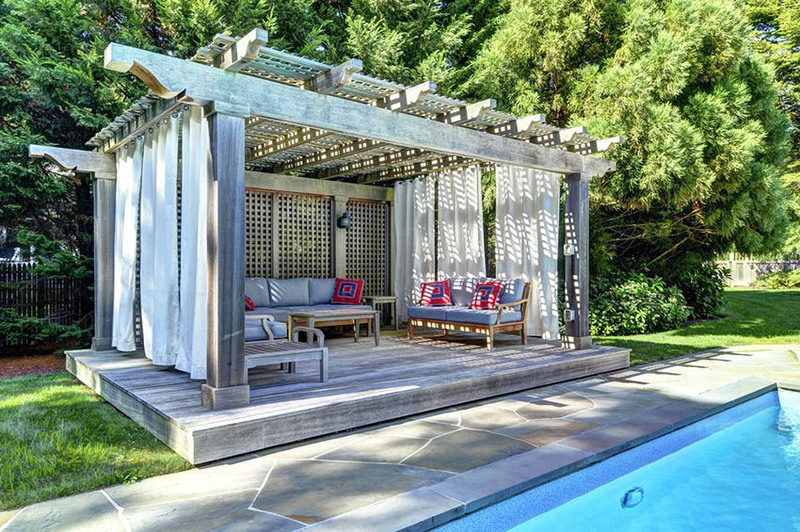 Most pergolas are installed in the garden for lounging or barbecue sessions, or on the poolside for a relaxing reprieve. This pergola, however was installed to help cover the walkway and for plants to crawl an, creating an impressive entryway. 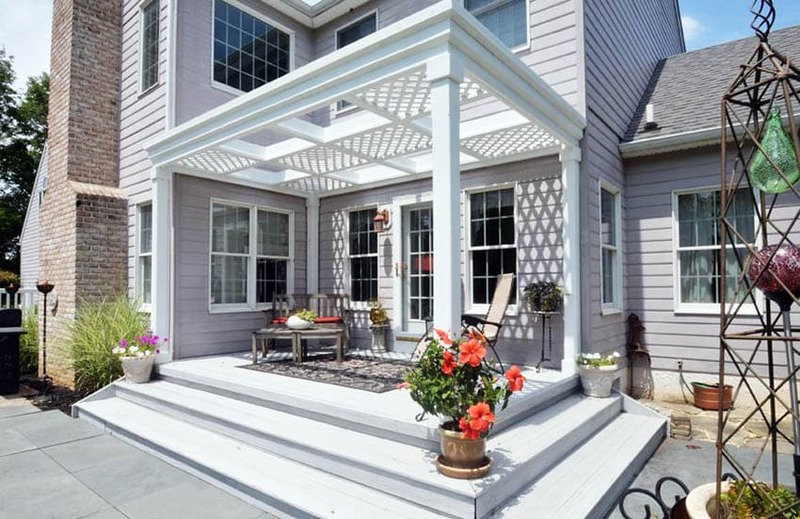 For pergolas, “the classic” would definitely be a simple all-white pergola. It gives a rustic charm & romantic appeal to any space, giving it a chic yet laid-back feel. These can be made from metal painted in white (or powder-coated), painted wood, or even plastic. Lattice work canopy and all-white framing of this wooden pergola definitely adds a nostaligic country-vibe to this small outdoor space. The color makes it stand-out, making it the architectural focal-point of the house. Another example of a pergola used as a walkway canopy. But i stead of a dark color, white paint was used on the wooden frame to match the architect style of the house’s exterior. 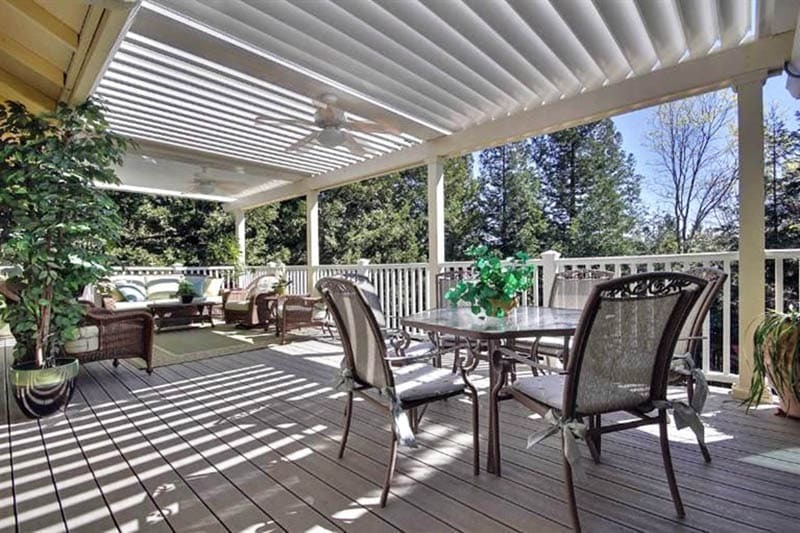 This Neo-Classic style pergola is very simple and basic. Attached to the main structure, it matches the overall look for the exterior and it’s open trallis top helps give it a more open/airy feel despite its small size. This massive pergola structure uses a sturdy metal framing powder-coated in white. For the canopy, no fabric or plastic was used, but it instead uses flat metal as slats, which were angled in a certain wait so that light is still able to pass through, but still blocks the sun on the hottest time of the day. 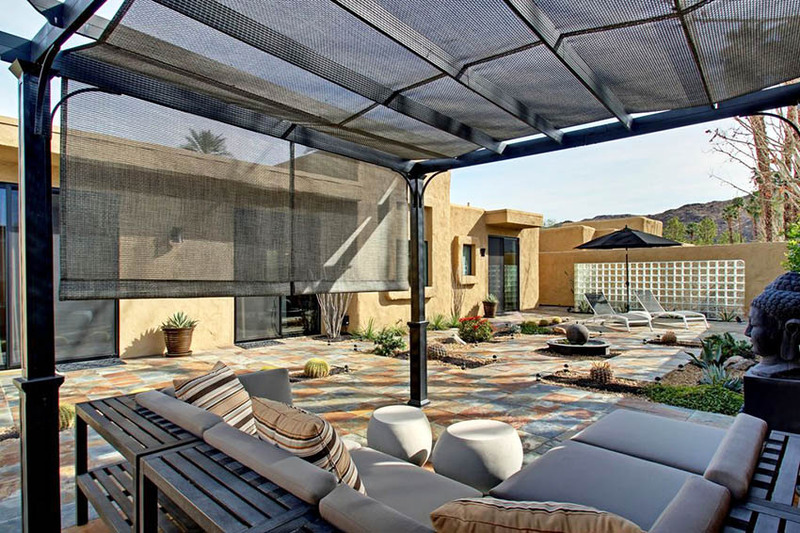 On the exterior, Pergolas with GI roofing might not give the same Holiday aesthetic that other types of pergolas give, but instead, it gives you more flexibility in furnishing the space & even have the option to safely install electrical for outdoor TV watching and lighting. Metal is an excellent material choice for pergolas because of its flexibility (as a material and style-wise) and its sturdiness. 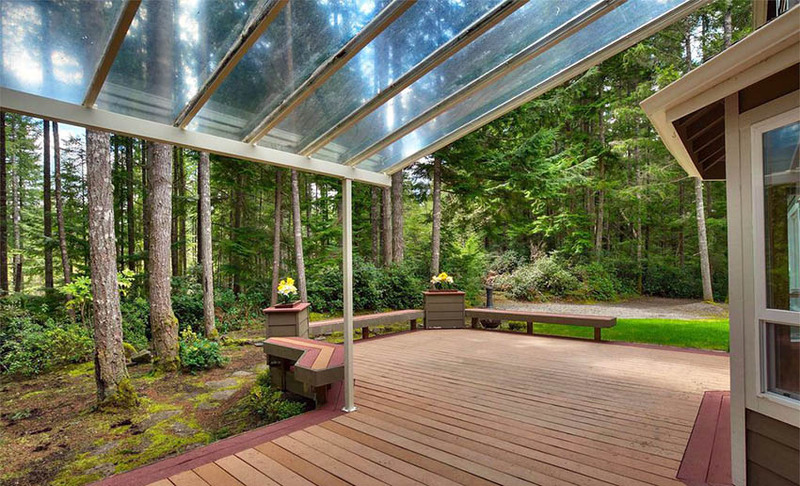 With the right kind of metal framing and appropriate finishing, a metal-framed pergola can last you many years. It could be a bit expensive but it won’t let you down in terms of durability and style. Being separate from the Mediterranean style home, this pergola easily transformed into a small cozy space to relax and lounge about. It also uses black painted metal framing and natural fiber canopy, to keep with the natural feel of the space. The upcycled wooden creates were used as sofa framing simply adds to its charm. 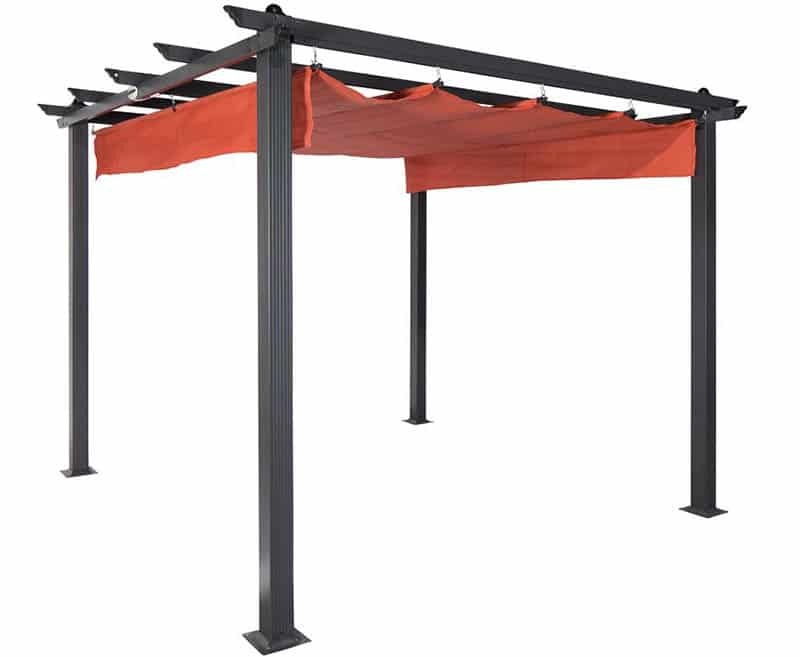 The metal framing of this pergola has a slim silhouette and has been molded into a more traditional style. A sheer outdoor-grade fabric has been added into the slats of the pergola to provide a bit of shade and protection from light drizzle/snow. This is another interpretation of the Balinese look, but instead of a modern rectangular frontal profile, this pergola gives it a little twist by using an arched beam. To help make it look light, the battens were spread wide apart and a fabric canopy was used so that it follows the shape of the beam. 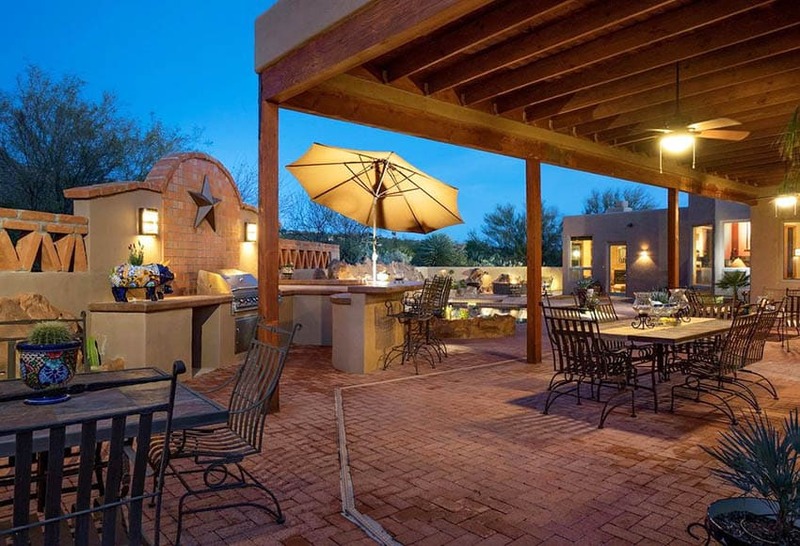 A fire pit pergola can create an enchanting ambiance with the right decor and accessories. 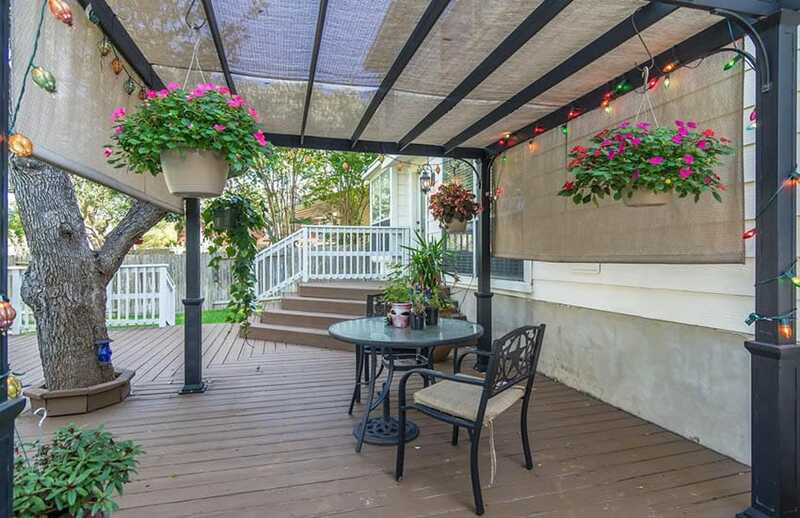 This metal pergola helps complete the cozy English garden look of this deck area with its black metal framing that matches the wrought iron outdoor furniture. 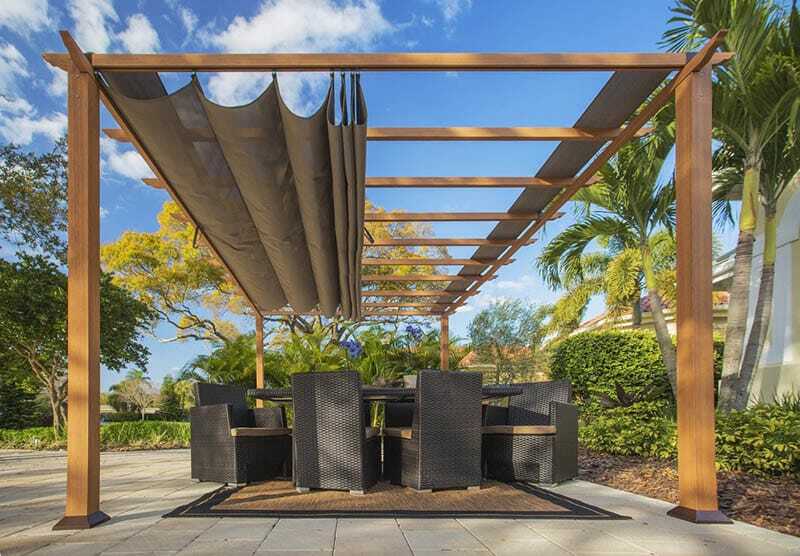 It adds a natural fabric as the canopy and extends/hangs to the side of the pergola for additional sun protection. 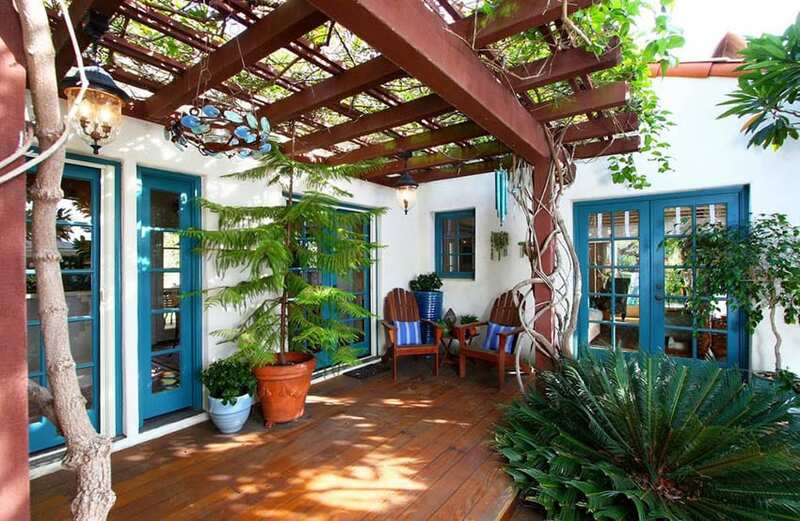 The addition of garden lights and hanging plants also adds to the charm of this quaint space. 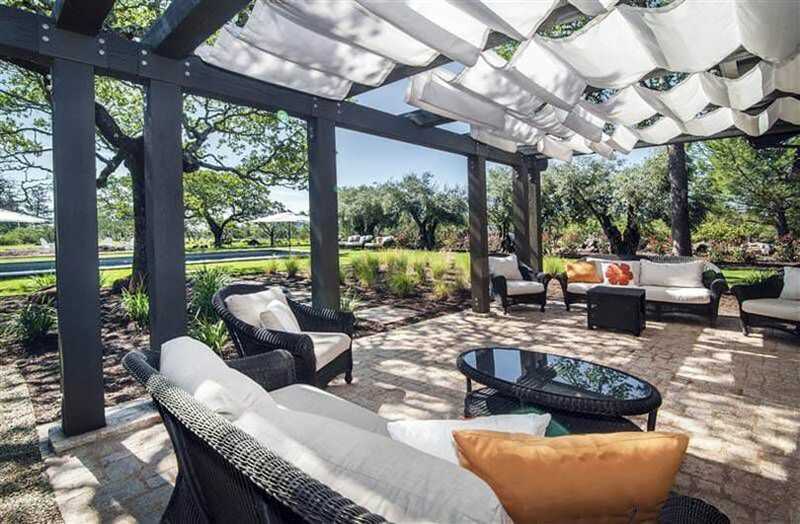 Using metal framing for the pergola allows you to use slimmer columns and beams for the same amount of support, allowing you more view of the surroundings. 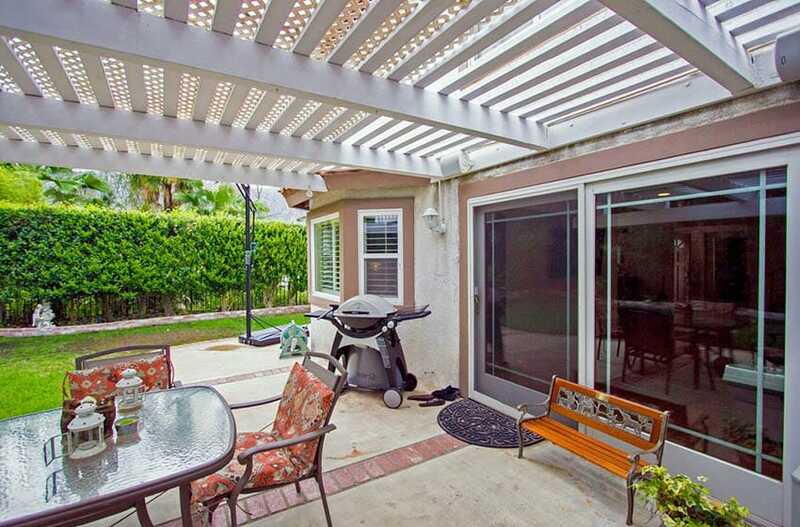 In this example, slimmer metal framing helped create a lighter and a more modern looking pergola design. Clear acrylic sheets were used as canopy, allowing sunlight to pass through, but blocks rain and snow. Blending seamlessly into the house’s modern architecture, this simple metal pergola adds a small yet very useful communal space in the house. The gray framing matches the windows and doors, and has a retractable canopy on top. 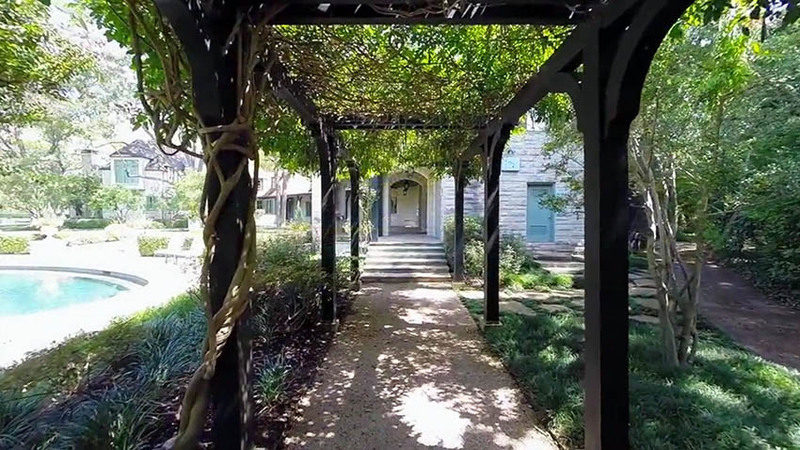 This Classic Corinithian-inspired pergola serves as an events venue that houses lots of guests at a time, therefore the priority is size and open space. Metal was the material of choice becauae the longer span sizes allows you to use less columns, and therefore bigger open spaces. The canopy was a combination for opaque white GI right at the center, and foldable canopies on the sides. Sliding screens were also used for added privacy when needed. Wood can now be powdercoated to look like wood. This example of a DIY pergola uses faux wood finish. The advantage of the metal used is that it uses less number of rafters, making it look light and very open. With the advent of mass production, you can now easily buy DIY pergolas off-the-rack from your nearest building stores or even online. They are usually quite affordable and has many designs and sizes to choose from. However, customization is very limited and quality of build is usually not as solid as custom-built ones. 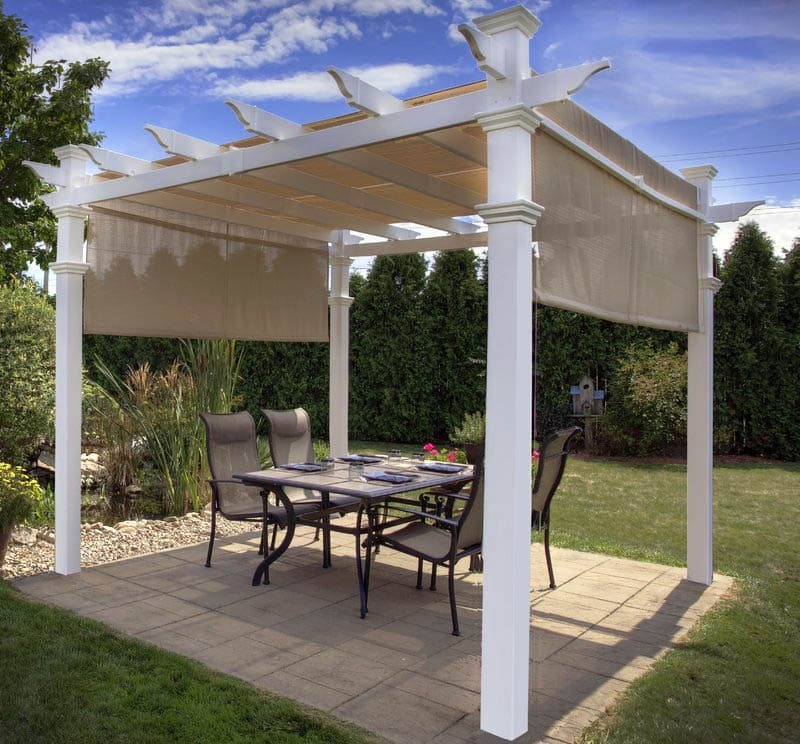 This easy to install pergola has a classic white frame and comes with a retractable fabric canopy, giving you a complete look. 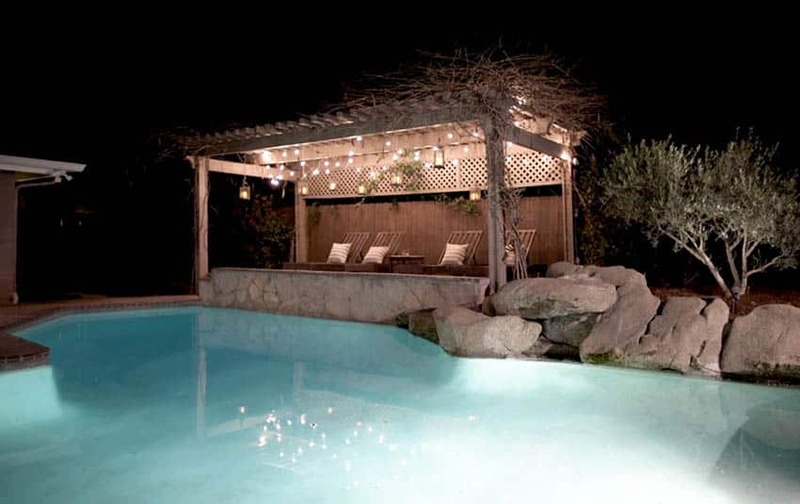 A classic Do-It-Yourself pool-side pergola with solid wood frame. It serves as a nice structure to hold the crawling plants and adds an interesting touch to the space. There are also pergolas with retractable canopies. These types allow you to adjust the amount of sunlight passing through, pr simply allow you to “stow” or remove the canopy in case of extreme weather conditions like rains and strong winds. This is a small DIY metal pergola that comes with a canopy, making it a great value for money. It is hooked on the ground to give it more stability. This freestanding DIY pergola uses slimmer columns, beams and rafters, making it look light and very open. 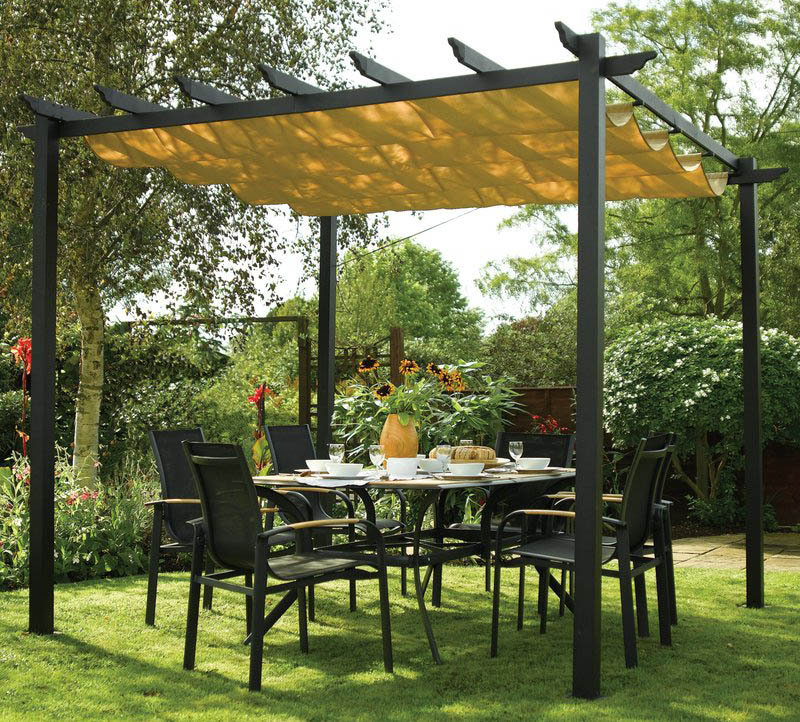 The yellow canopy gives this small pergola a bolder appeal. For more modern pergola designs visit this gallery page.